At 41 South Bar, we pride ourselves in offering dental implants as a solution to unsightly gaps. What better way for us to celebrate the dozens of patients we have helped than by launching a brand new banner outside our surgery! We’re shouting out about the fact that we are The Implant Studio. We’ve got a brand new scanner in the surgery that helps Dr Tom Donnelly, Dentist of the Year 2016, locate the root cause of problems and identify the most appropriate treatment options, in better detail than ever before. The ability to generate 3D images of the entire mouth can help us to identify where nerves are, where implants can be fitted and ultimately how to provide you with the best treatment possible. 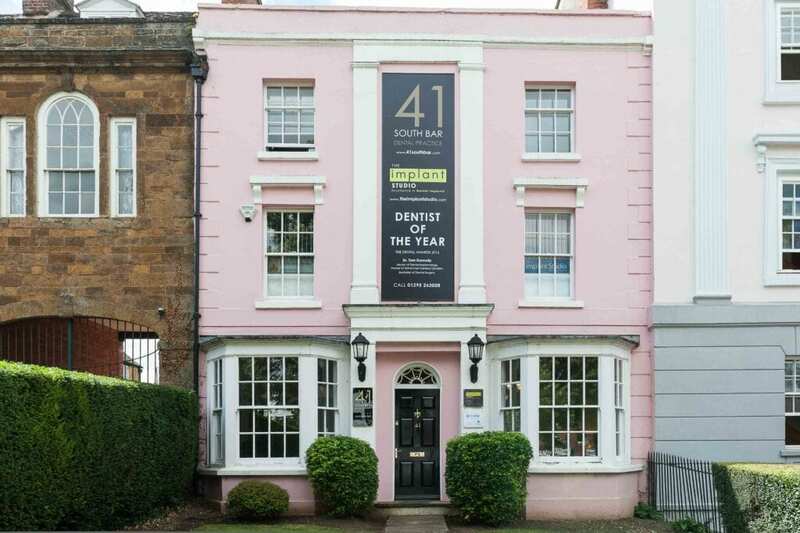 So if you’d like to visit The Implant Studio at 41 South Bar to get a better understanding of how Dr Tom Donnelly can help you get a whiter, brighter smile, contact our reception team on 01295 262008 and book in a consultation.